By reading this koob, you’ll uncover what the ancient Stoics can teach us about living better and maximizing our time. Although their ideas date from over 2,000 years ago, they remain as relevant as ever. Nowadays, it is rare for people to ask themselves how best to live their lives. While in ancient times we would have had access to a whole school of thought on the subject, now we are pretty much left to our own devices, with our ancient teachings scattered to the wind. 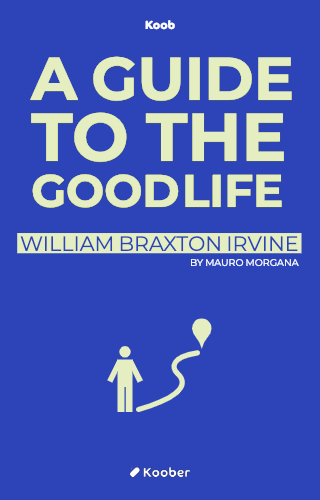 Having researched these ideas, William B. Irvine’s book “A guide to the Good Life” is a practical look at the concepts of the Stoics that underlines the relevance their concepts still have today.